Your Learning Library is located in My Learning. The Learning Library is where you can assign yourself learning pathways. 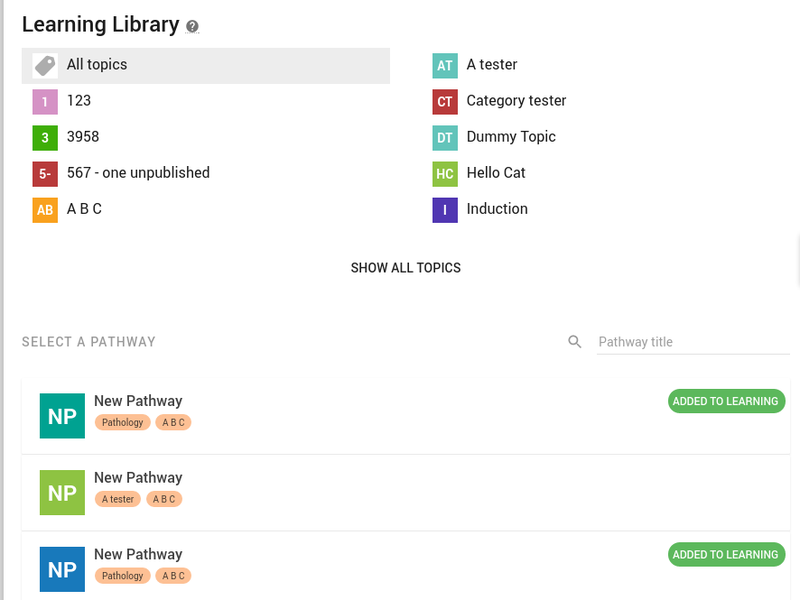 The learning pathways are grouped into topics. Select a pathway for more description. Click ADD TO MY LEARNING to assign yourself the learning pathway. The pathway will then appear in your My Learning list. Note: The pathways can take a minute to appear in your My Learning list. If you don't see it appear after a few minutes try refresh xapiapps.